If you are serious about wilderness camping, hunting, or backpacking and haven’t heard of these tents, your adventure life is about to get BETTER! Bo Hilleberg may wax poetic about the adventure lifestyle, but he does so with an authority and a perspective that is unique in the outdoor sports marketplace. Bo, founder of Östersund, Sweden-based Hilleberg the Tentmaker, has spent an envious lifetime in the most beautiful and the most austere places across the globe—most of it while sleeping in tents. 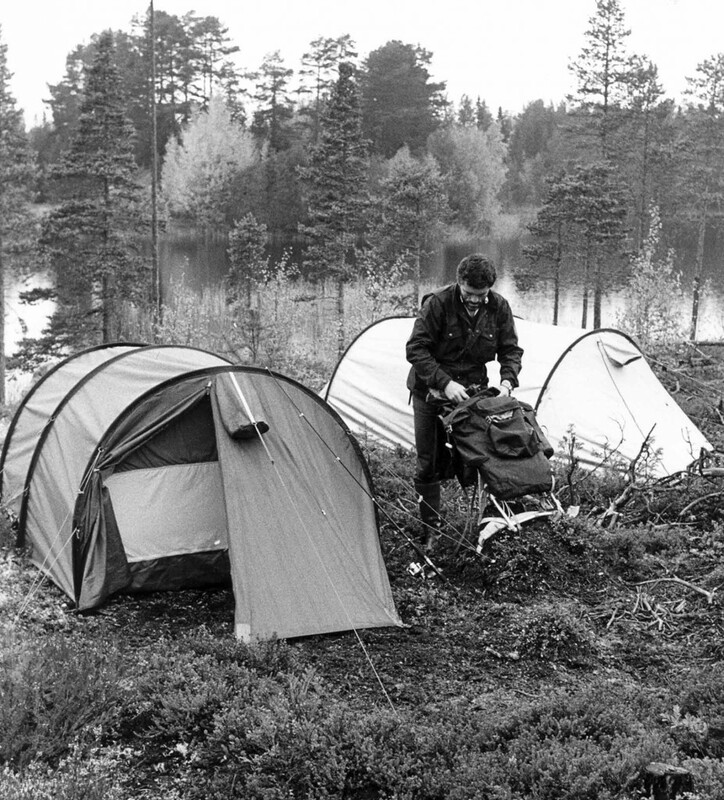 Bo Hilleberg testing the new Keb – circa 1973. This was Hilleberg’s first tent and the first commercial tent with a unitized double-wall construction. The military training Bo speaks of came courtesy of Sweden’s “Fjälljägare”—literally, “mountain hunters”—a special operations light infantry unit trained to operate unsupported behind enemy lines. 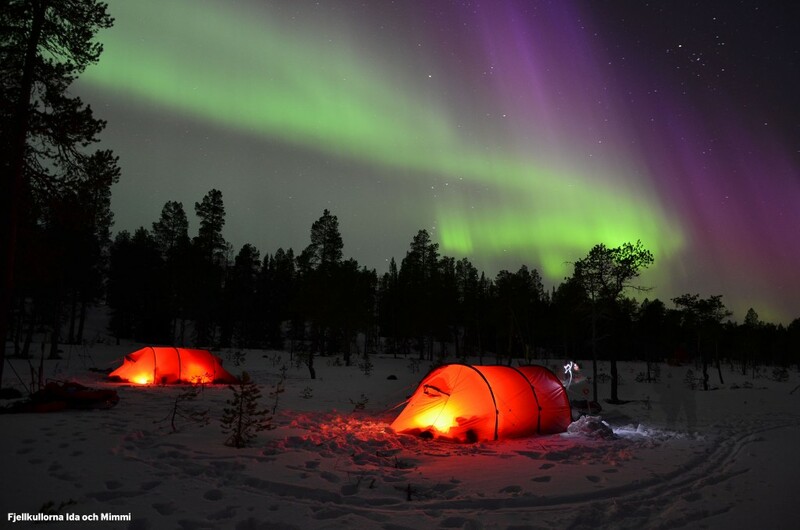 Operating in the remote and rugged area around Kiruna, the men sheltered in single-wall cotton tents and slept on reindeer skin pads in temperatures that dipped below -40 Fahrenheit. 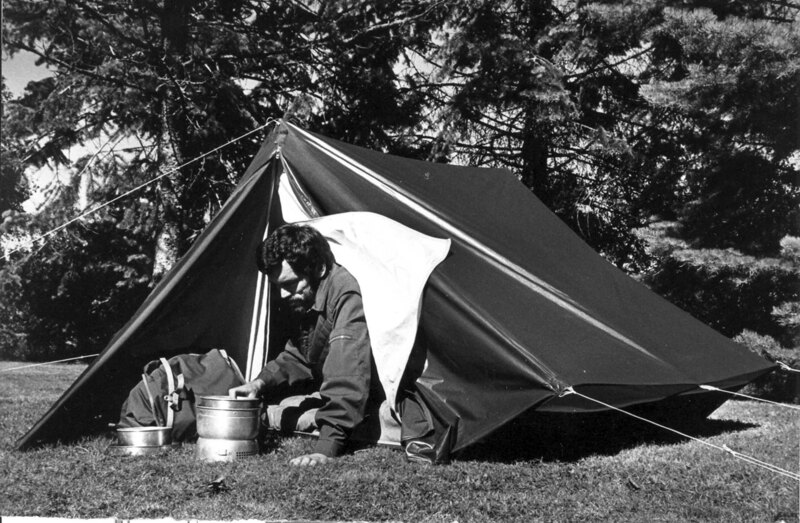 This provided the young Hilleberg the “extreme” camping and outdoor survival experiences that would shape his philosophy of tent designs nearly a decade later. All Hilleberg tents receive exhaustive pre- and post-manufacture inspections and quality control checks to ensure that every shelter that goes into the field is more than ready for the field. Following his mandatory military service, Bo began a career as a professional forester. Several years into the job, however, his romantic notions of working in the wilderness gave way to administrative realities. Eventually, a hidden streak of entrepreneurship surfaced, and Bo turned his experience toward selling forestry equipment and providing small-forest management services. Here is where the serendipity kicked in. Having proven his talents in the business world, the idea of making a living in the area he loved most—the outdoors—began to take root in the form of making tents. In 1980, Hilleberg introduced the Keron. The Keron was the company’s first tunnel-style tent and has since become the brand’s signature shelter and the standard for polar expeditions. Taking a real-world engineering approach to problem-solving that is the foundation of every Hilleberg tent built to this day, Bo and his wife Renate designed a shelter that would forever relegate single-wall and tent-and-fly shelters to “old-fashioned” status. After several attempts to create a unitized double-wall tent assembly, the couple hit on the concept of sewing the inner and outer tents together. Thus was born the Keb. The Keb proved to be a commercial success from the outset, and garnered the attention of not only recreational wilderness campers, but also expedition-level adventurers. Reliability – Must perform in the most rigorous conditions they are built for. Adaptability – Must perform across a diversity of conditions for which they are intended to be used. Durability – Must not only meet performance benchmarks, but also continue to do so over time. Ease of Use – Must provide ease of setup and operation under the conditions for which they are intended to be used. Comfort – Must provide a comfortable habitat for the conditions in which they are intended to be used. Understandably, those are demanding criteria for any product, and especially so for products made of lightweight fabrics and components that are subjected to such environmental and climactic challenges as rocks, rain, gale-force winds, sand, snow, bitter cold, mud, stifling humidity…the list goes on. So, how do they do it? In short, by blending old-world craftsmanship and advanced materials technology with uncompromising performance standards. 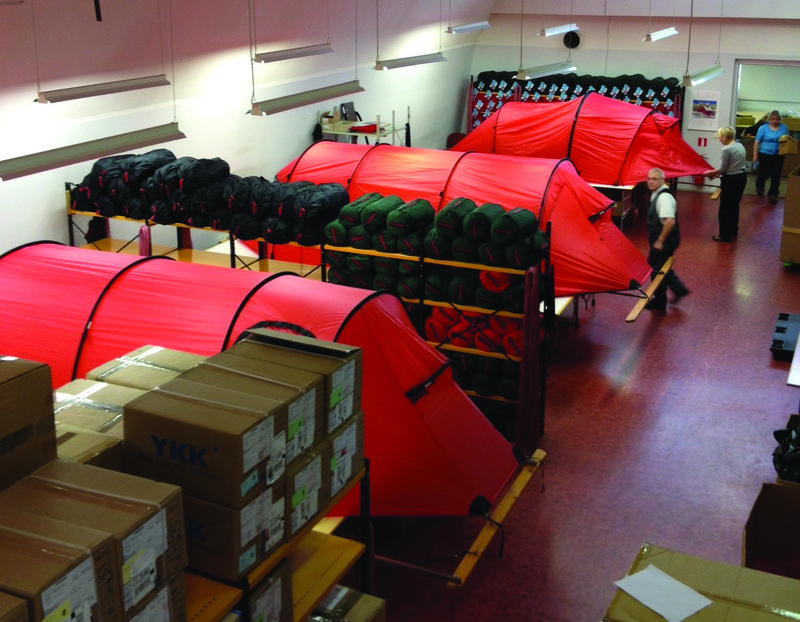 Hilleberg manufacturers all of its shelters at the company’s ISO-9001: 2008-certified production facility in Estonia. Every Hilleberg tent model begins with a problem seeking a solution or an idea seeking an outlet. Unlike most tent makers, who design their products on-screen and then send the programs to Asia for manufacture, Hilleberg does all of its design work, testing, and field evaluations exclusively in-house. 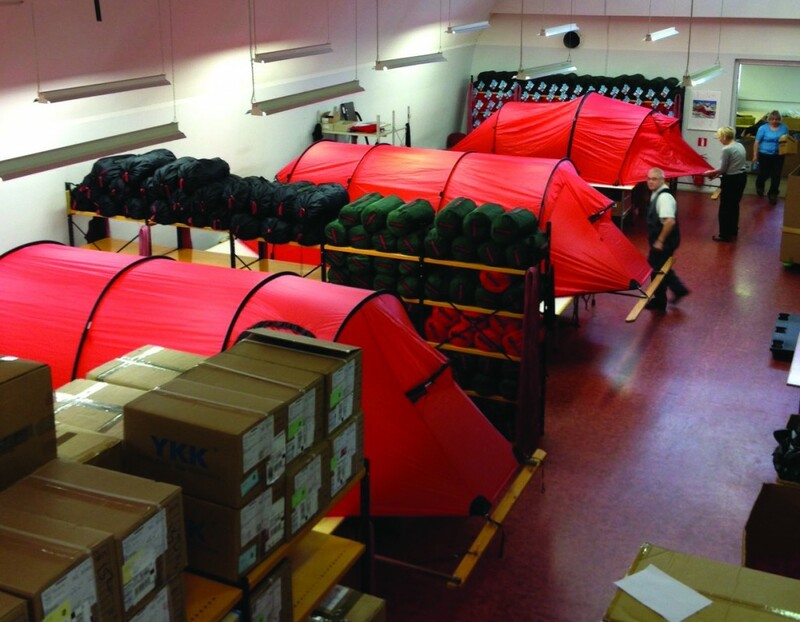 Once the R&D process is complete, the tents are hand-made at the company’s state-of-the-art manufacturing facility in Estonia. Hilleberg lab-tests all components to ensure they exceed the standards for which they are intended, and then extensively field-tests them for real-world performance. 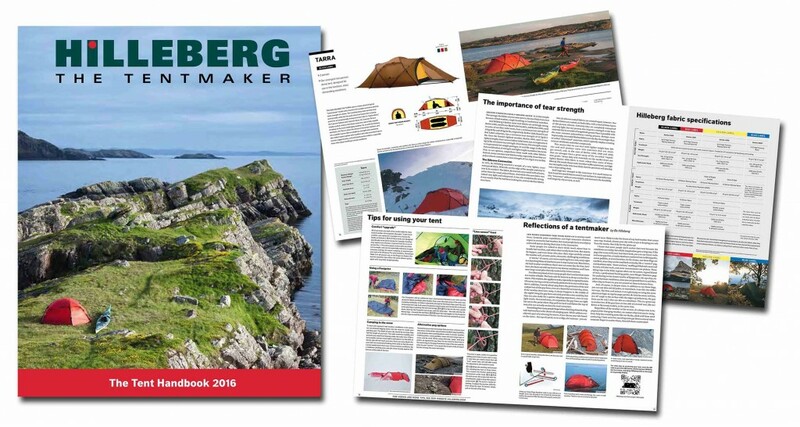 The company’s free catalog (which you can request here), offers an in-depth look at their demanding research and development process, as well as the materials that comprise every Hilleberg tent. By adhering to six key principles of design and manufacture, Hilleberg has been able to develop tents that provide the best possible performance across the broadest possible usage range for a wide range of needs. 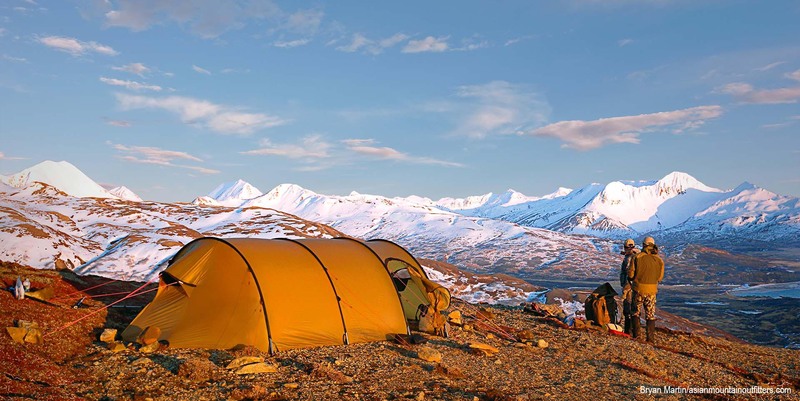 Whether you are group camping in the Arctic regions or solo backpacking in the desert, Hilleberg has a tent to meet your specific needs and adventure style. Two reasons why Hilleberg makes the best tents available is the company’s unwavering philosophy in tent design (reliability, adaptability, durability, ease-of-use, and comfort) and its soup-to-nuts control of the manufacturing and quality assurance processes. 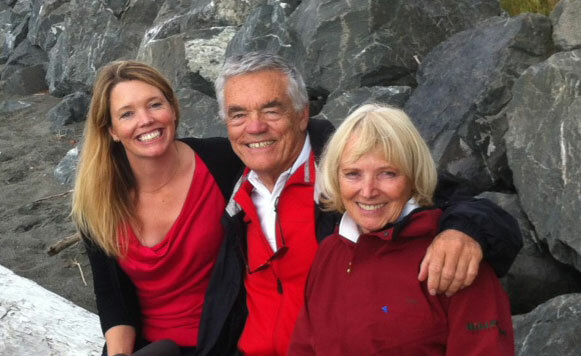 Two generations of premium tentmakers…Petra, CEO of Hilleberg Group, and company founders Bo and Renate Hilleberg. 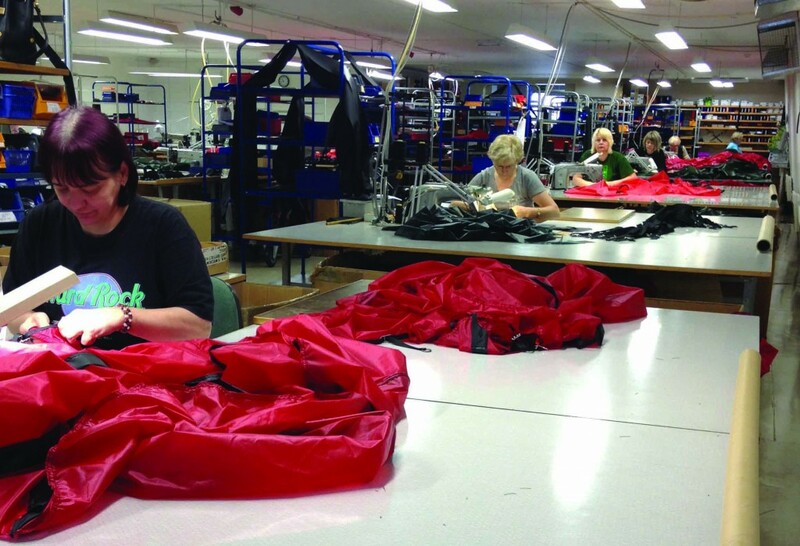 Another reason is that Hilleberg remains a family business that now spans two generations. Bo continues to lead the design and development of all Hilleberg products, while all four family members are the company’s governing directors. Daughter Petra, who, like her brother, grew up with a tent over her head as much as a formal roof, runs the company’s US-based office, which handles all sales outside of Europe. 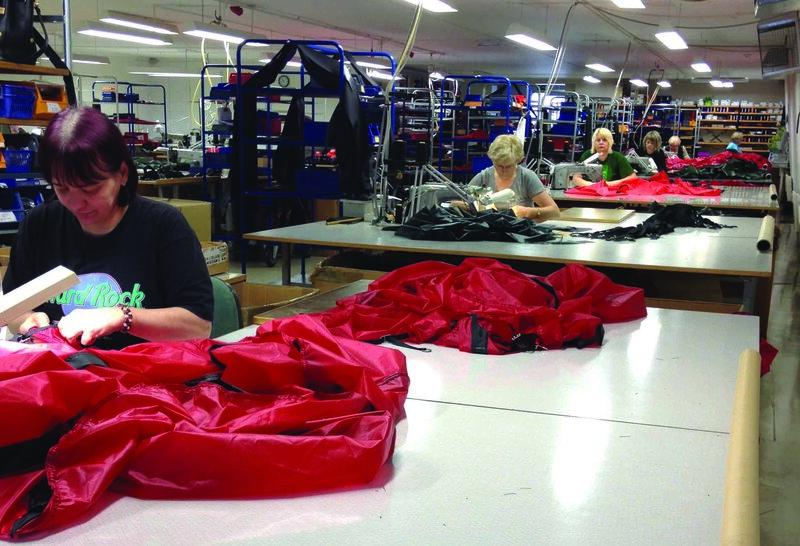 She is also CEO of Hilleberg Group, which oversees all aspects of Hilleberg, including the Swedish and US operations and the Estonian manufacturing facility. While Hilleberg tents have become the gold standard in mountaineering and expedition shelters worldwide, the company has never lost sight of the fact that it is the solo backpacker and the wilderness hunter, the family adventurers and the group trekkers who make up the center of the Hilleberg customer universe. From their expedition-level Black Label tents to handle the most demanding conditions in all seasons to their Yellow Label ultra-lightweight models intended for three-season, snow-free adventures, there is a Hilleberg tent for every experience level and activity.